commercial airport in blountville, tennessee, serves northeast tennessee and southwest virginia. airport information, airlines, and other service information. Dirt short track located in Blountville. Includes point standings, schedule, race results and car specifications. Standing sorrel stallion at stud. Includes sales list, photos, and profiles of horses. Located in Blountville. Standing Zippo Hot Pine, AQHA superior Western Pleasure stallion. Site includes show record, pedigree, breeding information and offspring. Standing in Blountville. 7 Countryside Vineyards and Winery Family-operated winery. Family-operated winery. Produces red, white, and fruit wines. Includes a product list and a photo tour. Also sells beer and winemaking supplies. Located in Blountville in the Tri-Cities area of East Tennessee. SiteBook Blountville City Portrait of Blountville in Tennessee. 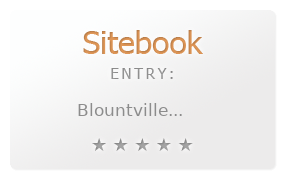 This Topic site Blountville got a rating of 4 SiteBook.org Points according to the views of this profile site.